There’s a “pretty extreme” difference between the tea samples given out at Teavana and the tea customers end up with if they follow the store’s directions, Mary Beth Quirk at the Consumerist reported.The in-store tea is much stronger and packed with sugar, according to a former Teavana employee. “We want to make sure customers can really taste the samples,” he explained. The former Teavana employee provided an example to the Consumerist: the sample recipe for iced blueberry-pineapple tea. It’s a 32-oz. brew, with half a cup of Blueberry Bliss rooibos tea, half a cup of Pineapple Kona Pop! herbal tea, and half a cup of German Rock Sugar. Then, fill the teapot to the top with boiling water and let it steep for 15 minutes or longer. What are the customer directions? For the same sized brew, they say to use 2-3 teaspoons of each of those teas and only two teaspoons of sugar. She also said that she’d tell customers how to brew the tea exactly as it appears in the store. 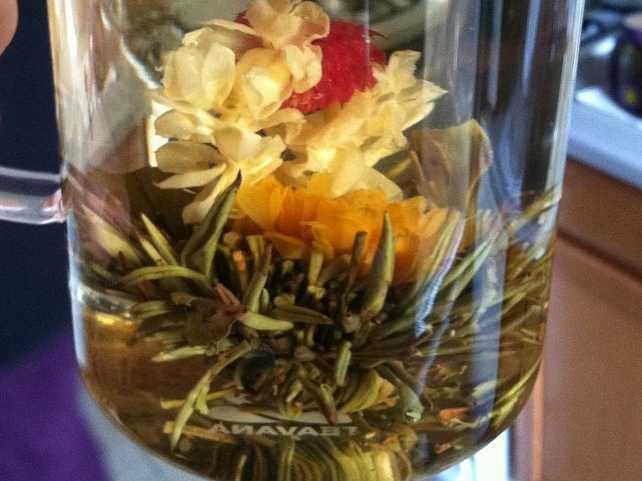 Teavana defended itself in a statement to the Journal Sentinel.